The UK is by far the Nissan Juke’s strongest market in Europe. If you’re looking to upgrade your car there are plenty of high-quality new cars on the market. Like every Quarter we have a more detailed look at the most popular models in the UK. Actually, all models sold in the UK over the Full Year 2012… You can see the original Top 10 post here. 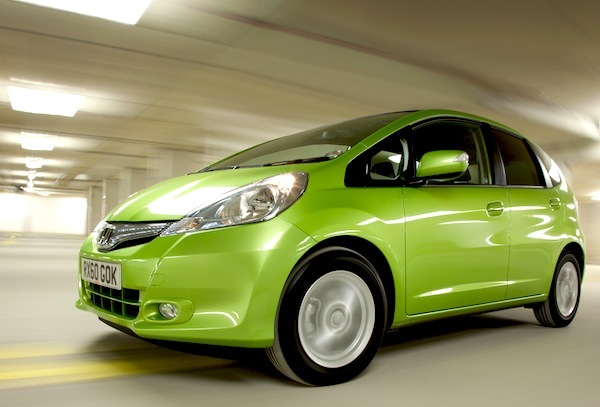 In 2012 the UK new car market is up a shiny 5% to 2,044,609 registrations, the highest annual tally since 2008. The BMW 1 Series is knocking at the Year-end Top 10’s door, up 20% to #11 with 34,488 sales, just ahead of the Fiat 500 at 34,161 units (+33%) while the Toyota Yaris is up by a fantastic 68% to #14 with 29,961 sales. The Range Rover Evoque breaks into the annual UK Top 30 in 2012. The Nissan Juke is up a further 32% on 2011 to land in 16th position with 28,862 units and 1.4%, making the UK its strongest market in Europe by far, and third in the world behind the USA (36,358) and Japan (33,648). The Hyundai i10 is back up 7 spots to #18, the Ford Mondeo up 5 to #21, Audi A1 up 7 to #23 and the Citroen DS3 up 19 to #32. The Range Rover Evoque is up 275% to break into the annual Top 30 for the first time for the carmaker in potentially two decades at #29 with 18,143 sales and 0.9%. Sales of Chrysler Ypsilon are up 6-fold in 2012 in the UK. The Peugeot 208 is the best-performing all-new model, landing directly at #33 and 17,112 units, followed by the VW Up! at #41 and 14,705 sales. Notice also the Kia Cee’d up 46% to #38, Kia Sportage up 58% to #40, Hyundai ix35 up 57% to #58, BMW X3 up 55% to #69, Vauxhall Antara up 508% to #75, Audi Q3 up to #76, Mercedes SLK up 88% to #80, Mercedes B-Class up 55% to #81, Hyundai i40 up 497% to #92 and Chrysler Ypsilon up 501% to #148. The first 29 Aston Martin Vanquish were sold in the UK in 2012. As far as ‘local’ models are concerned, the Jaguar XF is up 13% to #55, Range Rover Sport up 1% to #72, Bentley Continental GT/GTC up 68% to #190, Aston Martin V8/V12 Vantage up 4% to #236, Rolls Royce Ghost up 3% to #249, Aston Martin Virage up 37% to #269 and the Aston Martin Vanquish makes its first appearance in the ranking at #319 with 29 units sold. All other Aston Martins, Bentleys, Jaguars, Land Rovers, Range Rovers and and Rolls Royces lose ground vs. 2011. Sponsored feature: As far as Honda models are concerned, the Jazz is up 6% to #19 with 22,192 sales, the Civic is up 13% to #42 at 14,621 units, the CR-V up 22% to #47 with 13,649 sales and the Accord is #165 at 1,623 units. Previous detailed post: UK Q4 2012: Discover the Top 100 best-selling models! Previous year: UK Full Year 2011: All-vehicles ranking now available! Full Year 2012 Top 350 All-models Ranking Table below. next post: UK Q4 2012: Discover the Top 100 best-selling models!